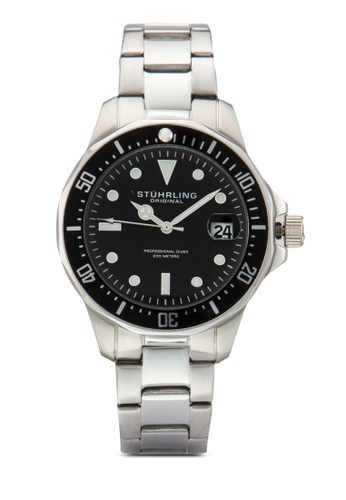 Go for the sophisticated look when you put on this Stuhrling Original watch. With its sleek stainless steel case and strap, you will be able to maintain your professional vibe, not to mention staying punctual to the second for that important meeting. Can't find Aquadiver Quartz Date Stainless Steel Link Bracelet Diver Watch in your size?